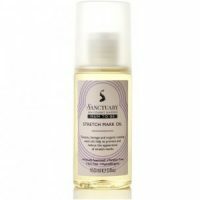 Sanctuary Spa Mum to be Stretch Mark Oil Review- Does It Work? 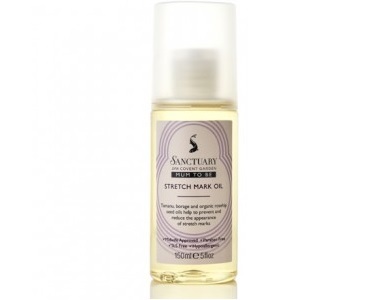 We have compiled a review of Sanctuary Spa Mum to be Stretch Mark Oil which aims to help inform you of all the relevant facts before purchasing this product. Since stretch marks are caused by rapid weight gain it makes sense that Sanctuary Spa has designed a formula that caters to expecting mothers. This formula is said to help restore moisture to the skin while preventing and reducing the appearance of stretch marks. What’s in Sanctuary Spa Mum to be Stretch Mark Oil? Sweet Almond Oil – An emollient that is high in vitamin E that helps to moisturize the skin. Coconut Oil – A natural antibacterial agent that helps to moisturize and delay wrinkles and sagging skin. Rosehip Seed Oil – Rich in vitamin c, this helps to stimulate collagen production and helps to soothe the skin. Wheat Germ Oil – A powerful antioxidant that helps to promote new tissue growth, it also has a high vitamin E content. Borage Oil – Helps to restore the skin’s elasticity and nourishes the skin from deep within the dermis. Sunflower Seed Oil – Rich in vitamin E and caffeic acid, this oil helps to moisturize and keep your skin in good condition. Tamanu Oil – An astringent that helps to restore the skin’s elasticity and keep it hydrated. Tocopherol – A form of vitamin E that is an antioxidant and helps to fight off damage to the cells. It seems that most of these ingredients help to hydrate and restore the skin’s natural elasticity and while we can agree that hydration plays a role in reducing stretch marks, an effective formula should also contain medical grade silicone to reduce scarring from deep within the dermis especially for stretch marks that are already visible. How Do You Use Sanctuary Spa Mum to be Stretch Mark Oil? This product should be used on the entire body. Massage the oil into the skin directly after you have showered or bathed to lock in moisture. Each bottle of Mum to be Stretch Mark Oil contains 5 fl oz and retails for $9.58. This product can be purchased directly from the manufacturer or via third-party distributors. Unfortunately, we were unable to find any discounts or bulk purchase options. Sanctuary Spa covers you with a satisfaction guarantee provided that you have returned the product within 14 days of purchase. This policy is weaker than what most reputable brands offer and may not be a long enough time frame for consumers to see any results. After analyzing the facts in this review, we have found a few things that we like about this product such as the affordable price and that the brand focuses on catering to pregnant women. With that being said, we also found a few things that we did not like about this product. 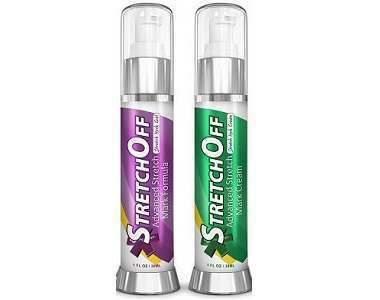 We found that while this product may keep you hydrated, it did not contain enough potent ingredients to reduce stretch marks that have already formed, much like scars, stretch marks require a form of medical grade silicone that heals the skin from deep within the dermis. We were also disappointed In the satisfaction guarantee and feel that it does not offer consumers enough time to judge how they feel the product has worked for them. We didn’t find any reviews from end users either, we cannot comment on the effectiveness of this product without any social proof from consumers who have already tried the product.